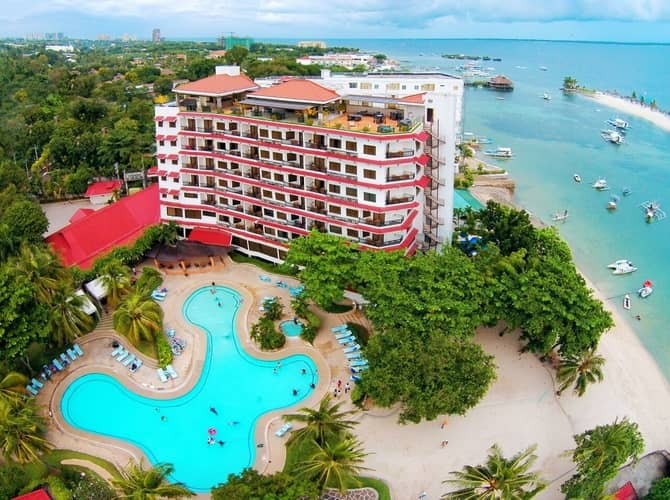 For many years now, Cebu White Sands Resort and Spa has been one of the most popular choices for those who wish to stay at Mactan Island. That is hardly a surprise, considering it’s the best value for money 4 star resort in the area. 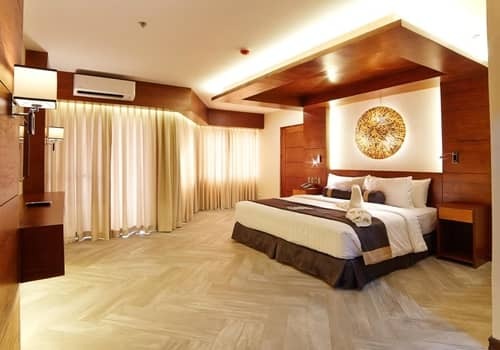 Clean spacious rooms which are modernly furnished, combined with a personal and friendly service, make White Sands one of the best hotels in Mactan. A well maintained garden area, 2 swimming pools and a private beach complete the calm and relaxing atmosphere. White Sands also offers a plethora of activities, especially for kids, as well as an excellent spa service. 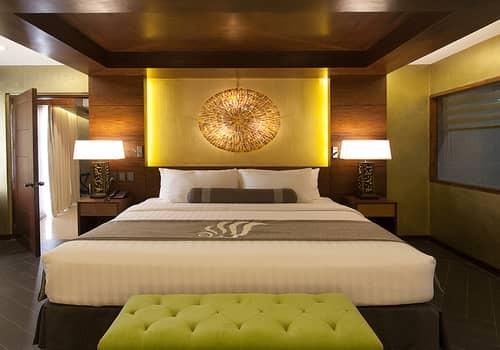 This all makes the resort an extremely kid friendly choice, where the entire family can have a great time, without paying a small fortune like at similarly styled 5 star estates. We are yet to hear any complaint about their service. 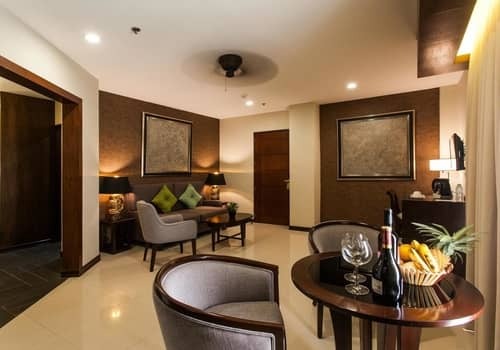 Even though the hotel is very popular and usually fully booked, they are experienced enough to make sure each guests gets a personal and attentive service. This place is probably the best maintained and cleanest resort in Mactan. 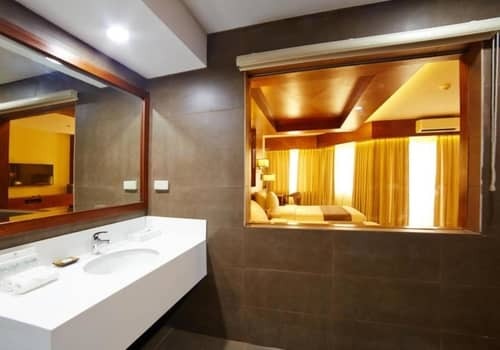 The rooms were spotless and everything was cleaned and changed on a daily basis. The public areas are also cleaned regularly, but since pools can be crowded at times, especially with small children, some dirt is to be expected. Great value for money – you'll get much better than what you expect. 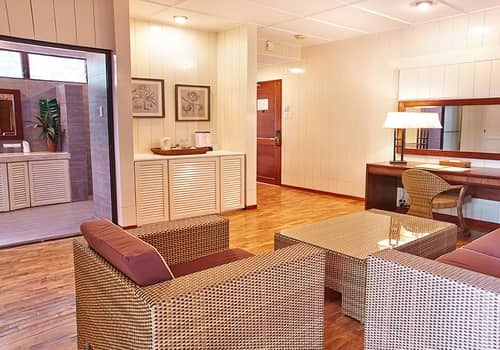 The rooms are large and very well furnished. 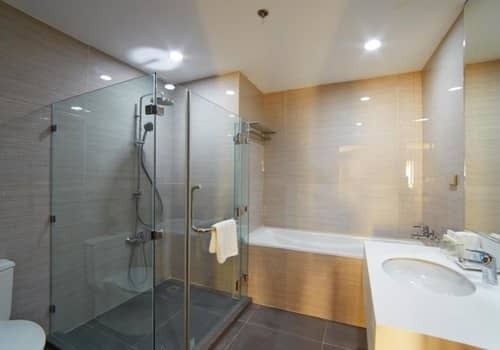 There's WiFi, a good shower with hot water and a strong flow, and all other necessities such as TV, mini fridge, AC and a safety deposit box. We did notice a few cracks in the flooring of some rooms, but overall they were all clean and recently renovated. The private beach is decent and quite large, but underwhelming like most Mactan resorts. The 2 pool areas on the other hand are fantastic, and you can expect to spend much of your time there. They are both large and clean, with a seperate kiddie pool for each and an adjacent bar area. 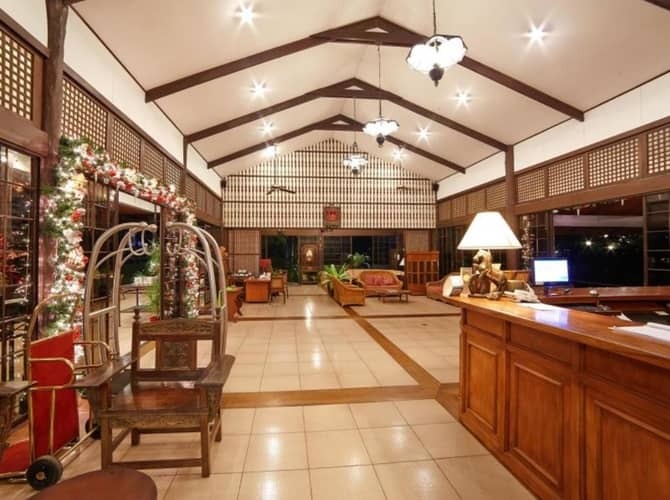 Roughly 20 minutes drive from the airport, the resort is located close enough to anything you need. 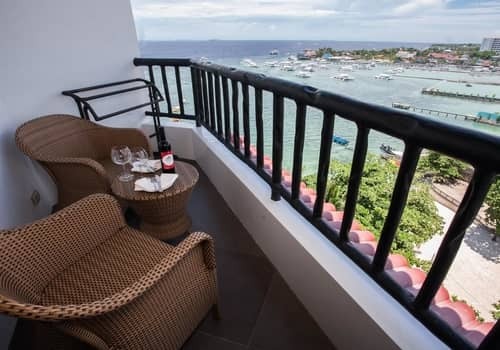 You won't have to waste too much time driving around Mactan when you are looking for a place to grab a drink at night, or when going out on day tours. Still, it's quiet enough, especially at night which makes the location ideal in our opinion. 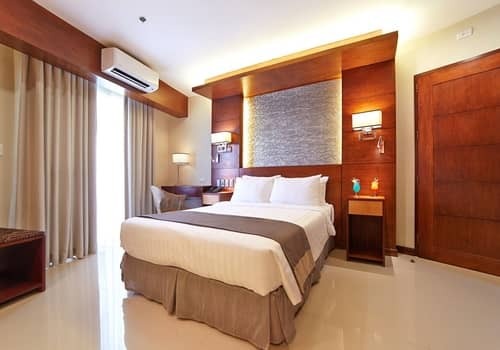 Great choice for families who wish to enjoy Mactan without spending a fortune staying at a 5 star resort. Very consistent performance in all key aspects and competitive rates compared to similar hotels nearby. 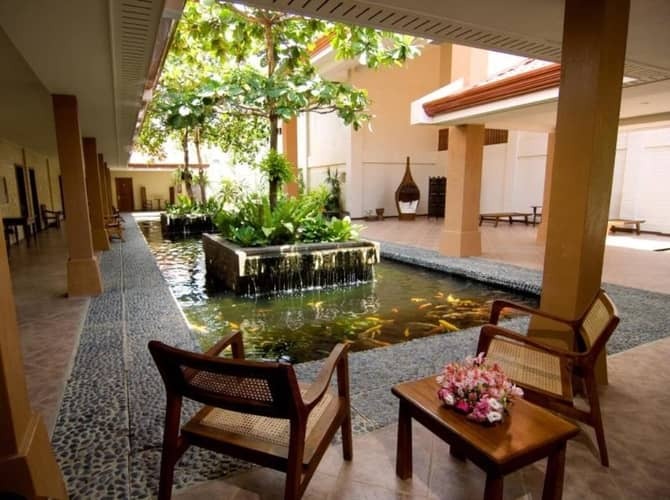 The resort offers 86 rooms, seperated into three different wings : Heritage, Courtyard and Mabuhay. 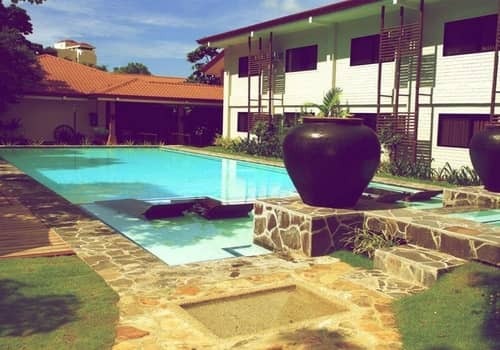 The first two are 2 stories buildings that give out a nice cottage vibe, while the Mabuhay wing is the largest buildings, 8 stories tall and is the resort’s only high rise structure. The Heritage wing has a nice garden surrounding it, and is located right next to both the main pool and the beach area. A few steps from your room you’ll also find the BuenaVista beach bar, where drinks and food is served all day long. There are also some pool tables and TVs showing sport events – so it’s a nice place to burn some time at. The Heritage wing is the most recommend spot for families, since it has large rooms and an excellent location. The Courtyard wing is a bit more secluded and is located right next to the secondary pool. This is also where the spa is found. The design is Japanese inspired, with beautiful ponds filled with Koi fish. 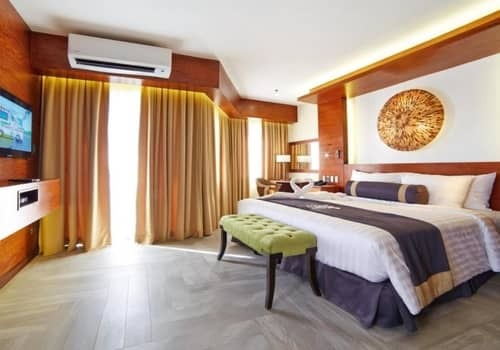 It provides a very nice atmosphere which is more quiet and relaxing, so we would recommend this part of the hotels for couples and small families. The downside is of course you’ll have a 2-3 minutes walk whenever you want to get to the beach or leave the hotel. 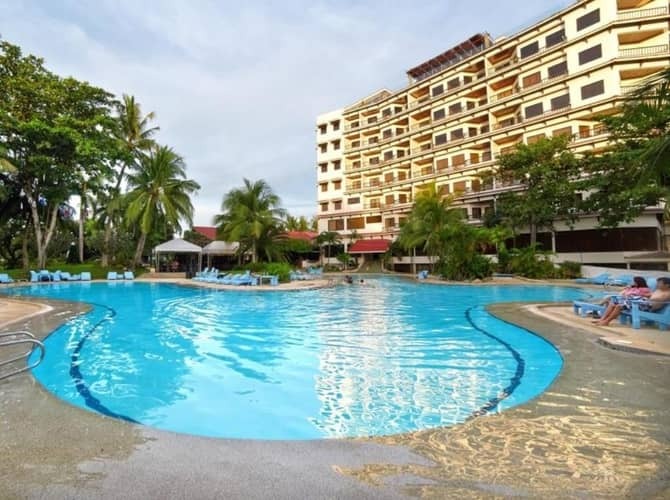 The Mabuhay building is the heart of the property and is also located next to the beach and main pool, at the opposite side from the Heritage wing. 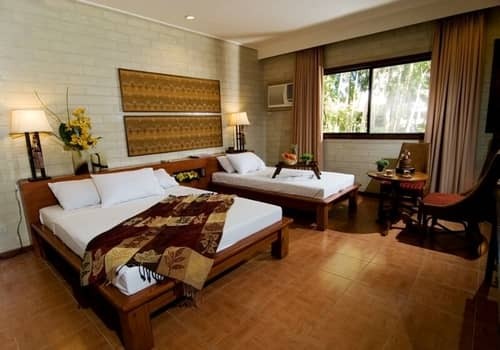 It offers the largest selection of rooms, as well as immediate access to most of the hotel facilities. 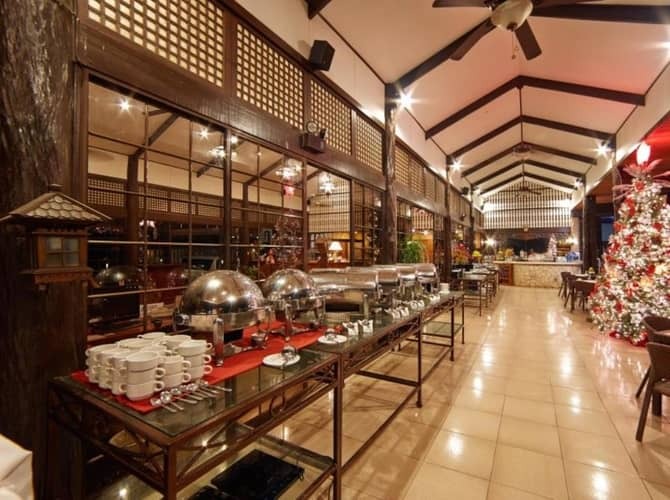 You’ll be right next to the main restaurant where breakfast is served, as well as the hotel front desk and lobby area. For these reasons, this wing is highly recommended for large families, especially if you have toddlers with you. Do Guests like White Sands? 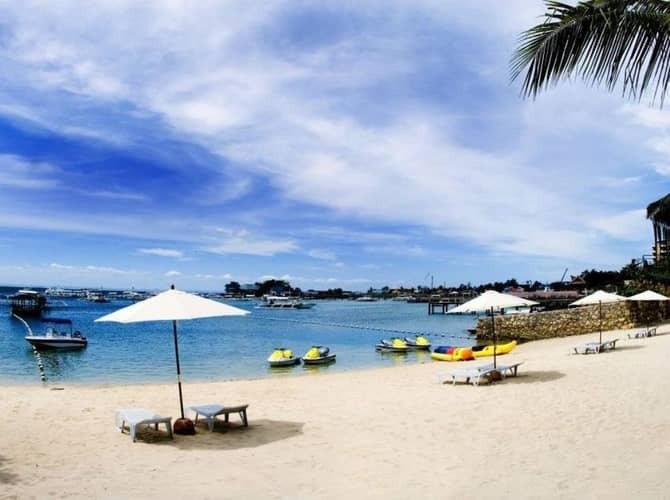 As mentioned, White Sands is one of the most popular hotels in Cebu. Finding guest reviews online isn't hard, but it was a grueling task to go over all of them. 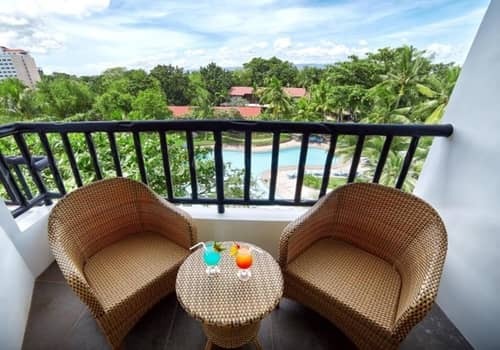 We tried to find the most relevant feedback, since this resort also enjoys a large amount of Filipino guests, as well as other Asian countries. While we still mostly rely on our own experience staying there, and the feedback we receive directly from the clients we send to White Sands, we wanted to give you a wider perspective so you'll be able to decide if this is the right place for you to stay at. 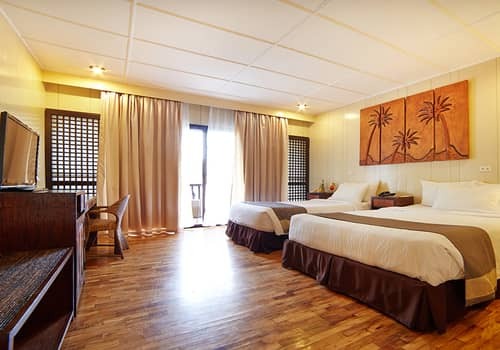 There are 587 reviews on Tripadvisor, ranking White Sands at the 12th position among Mactan resorts. Only 9% of guests rated their stay at the hotel as "below average". People really liked the rooms and the overall relaxing ambiance, and of course the fact that this place offers great value for money. Complaints usually revolve around the price and quality of the food, especially the breakfast buffet. We also went through all 484 reviews found on Booking.com, where the average rating is 7.8. Again, guests liked the fact they could relax and have fun with their families for an affordable price. 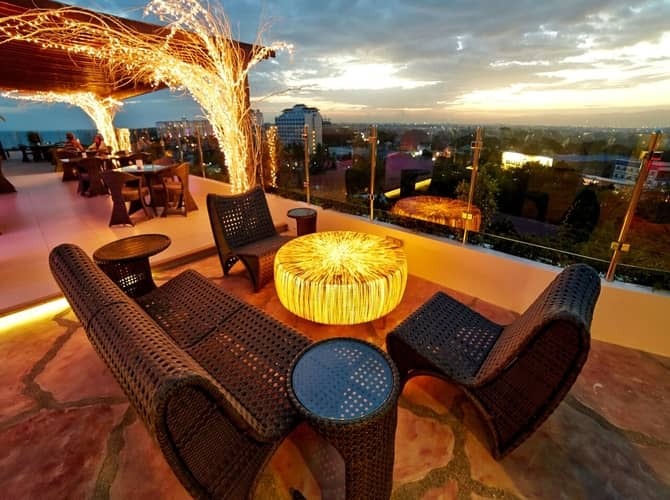 The spa and rooftop bar received special praise. The most common complaints were about the WiFi, especially in the room themselves, and the beach area which isn't as nice as some people expected. Agoda is where most reviews can be found, with a whooping amount of 3779 separate comments. The average score is 7.8 and the resort was voted top choice in Cebu back in 2015. The most common complaint was about the quality and price of the breakfast offered. There were also quite a few people saying WiFi was unstable, and also criticizing the day tours arranged by the hotel itself. 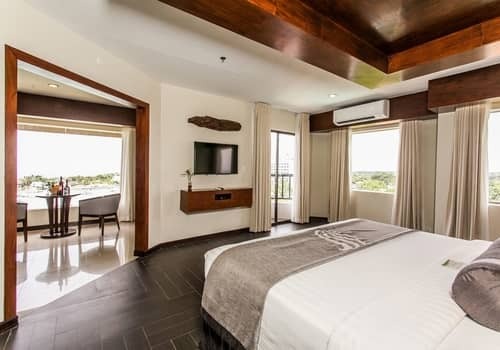 Overall, reviews were positive, with guests stating the rooms, staff's attitude and family friendly orientation as the main reasons why they enjoyed their stay. 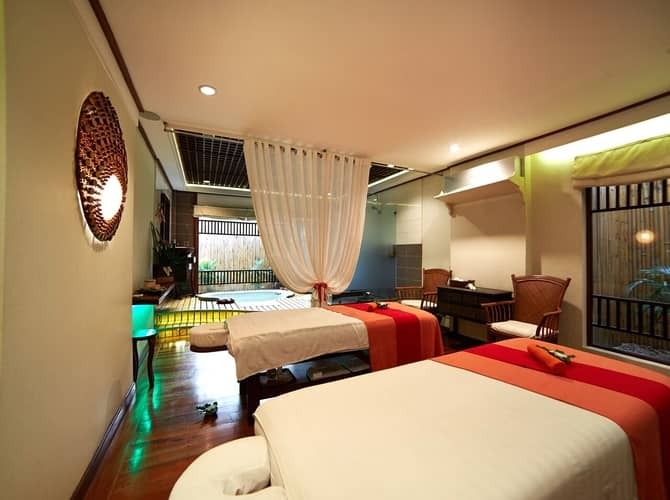 One of White Sand’s main attraction is their excellent spa. 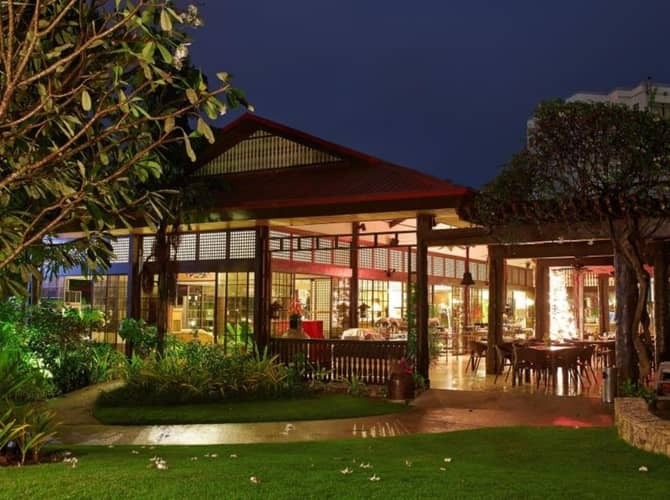 Set in an extremely peaceful garden area and surrounded by fish ponds, you’ll have a very fun and relaxing experience there. The quality of the massages they offer is famous all around Cebu, and some people come here especially for that. 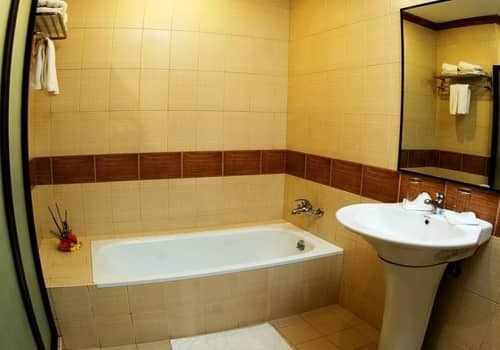 While prices aren’t cheap by any means, it’s what you’d usually expect from hotel spas, with the cheapest option being 1200P (24$) for one hour treatment. The resort also organizes events and activities that are designed to keep the whole family entertained. When you get to the hotel, ask the staff what special events are scheduled for that week – there’s something going on all the time. Most popular activities include the Saturday morning Yoga class, Friday night seafood and meat barbecue at the beach-side restaurant, and nightly events and celebrations at the rooftop bar. White Sands also offers to organize day tours for their guests. The two most popular options are island hopping and the Cebu city tour. They use 3rd party contractors to conduct these tours, and you will not be accompanied by anyone from the hotel itself. As mentioned, we heard a lot of mixed reviews regarding these tours, so we suggest you avoid it and book both the hotel and tours directly through us. 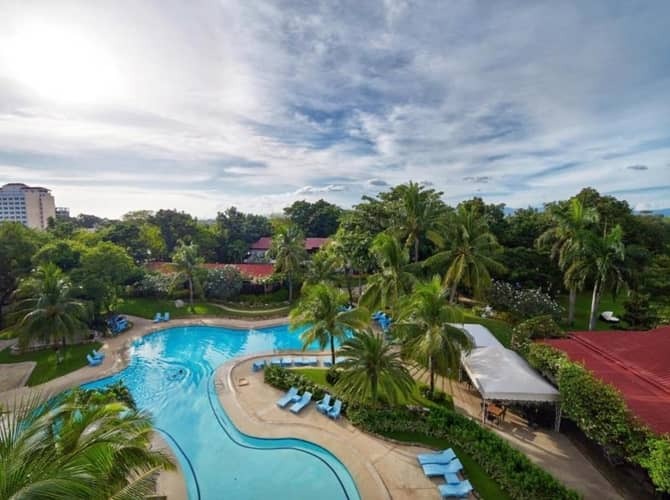 All in all, the White Sands resort is a perfect choice for families who wish to enjoy everything a beach resort has to offer, without spending a fortune. 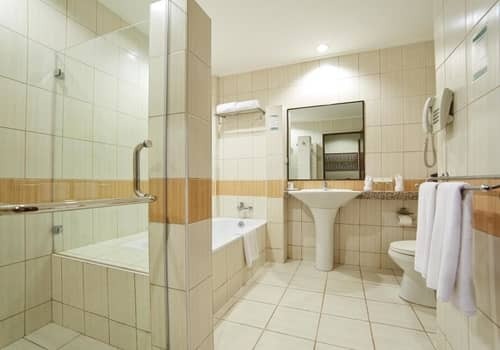 While there is certainly a lot of room for improvement, the overall level of this hotel is high. 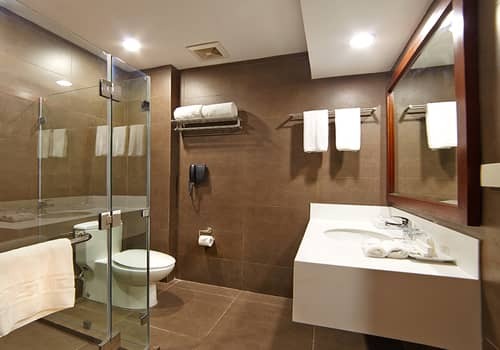 The important things such as service, cleanliness and the level of the rooms are all very good, and ultimately that’s what matters the most. 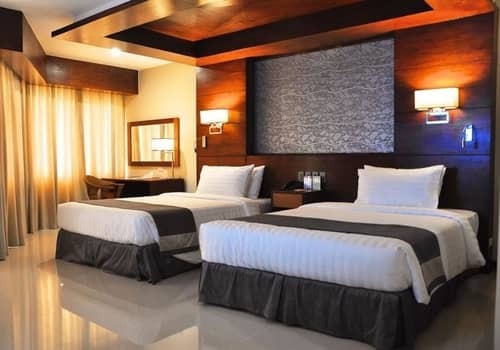 If you choose to book these hotel, we are sure you’ll be able to fully relax and enjoy your time in Mactan. 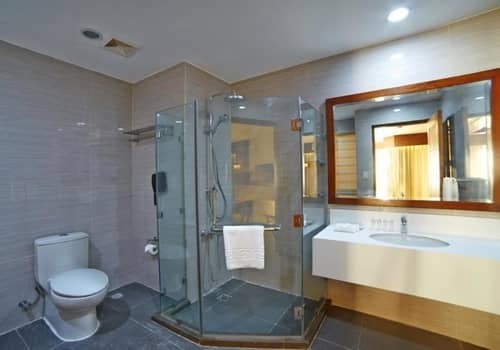 The most basic room at the resort, this is good for 2 adults and 2 children. 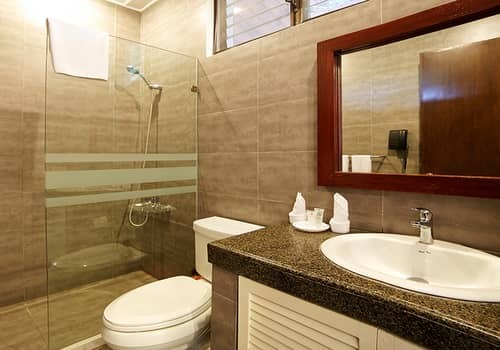 They are available at both the Mabuhay and Heritage wings, with size varying between 30 and 35 sqm. 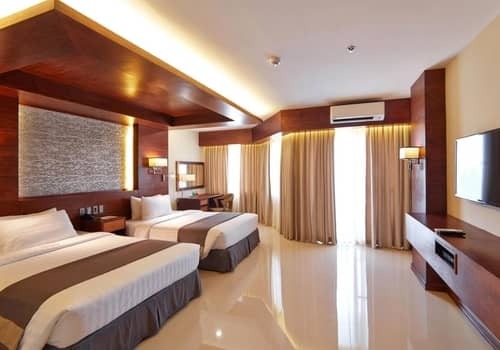 When booking the room you can choose between 1 queen size bed or 2 double beds. The Grand Luxe rooms are available at all 3 wings, and are the only room offered at the Courtyard wing. Their size vary between 35 and 45 sqm, and they come with either 1 single and 1 double bed or with a king size bed instead. All of these rooms have a private balcony and a small bathtub. The Permier room is only available at the Mabuhay wing. With a living area of 45 sqm, it’s a good choice for 2 adults and 2 children since it has 2 double beds. There’s also a small private balcony. These rooms are available at both the Heritage and Mabuhay wings. 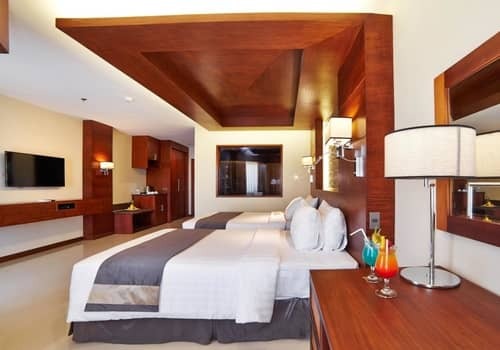 The heritage family room is 70 sqm, with a private balcony, 2 queen size beds and a large closet area. 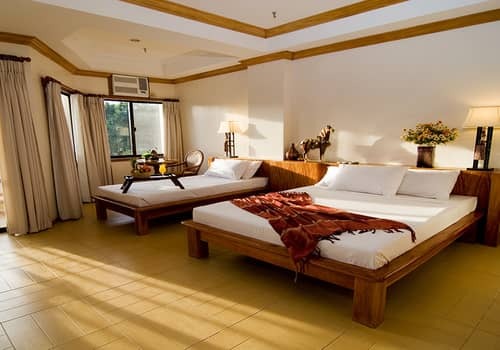 At the Mabuhay wing, you can find a much wider selection : the Ocean view and Panoramic view suites are 80 and 90 sqm respectively, with 1 king size bed. 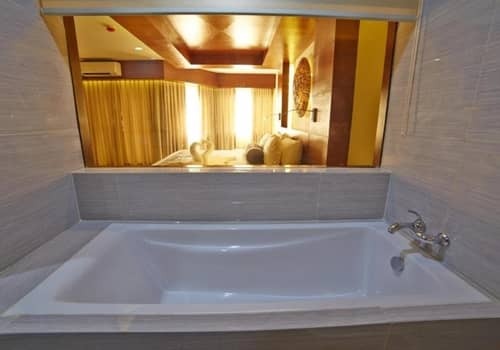 The family suite is 80 sqm and has 1 king size, 1 double and 1 single beds.